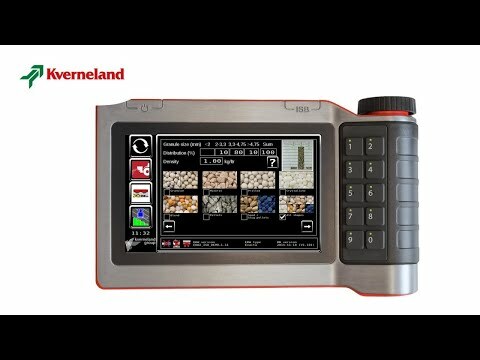 The Kverneland Exacta TL is the top of the range model. With the unique reference sensor the weighing system of the Exacta TL will correct automatically on slopes and for shocks. Therefore this spreader can work with high accuracy on rough terrains and in hilly conditions. Speed related spreading, with auto calibration, will help to prevent over and under dosing which will result in better yields and saving of fertiliser. For even more saving of fertiliser and also more comfort, it is possible to use the spreader in combination with GPS. With GPS controlled spreading the Kverneland Exacta TL spreader has 2 sections and automatic start/stop on headlands based on the GEOPOINT. It is even possible to do variable rate spreading according to application maps. This Kverneland Exacta TL spreader is ISOBUS compatible and AEF certified. You can operate the spreader in combination with the IsoMatch Tellus PRO, IsoMatch Tellus GO or any other ISOBUS compatible tractor terminal. Long life time LED lighting set, is optional for the EL, CL and CL-EW. For the HL, TL and TL(X) GEOSPREAD spreader is this standard equipment.